Complete exhaust excluding flanges and sensors. Exhaust bracket, crossover and heat shields intact. 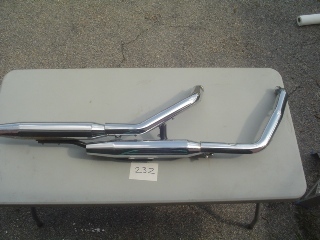 Front and rear mufflers part # 64941-07.